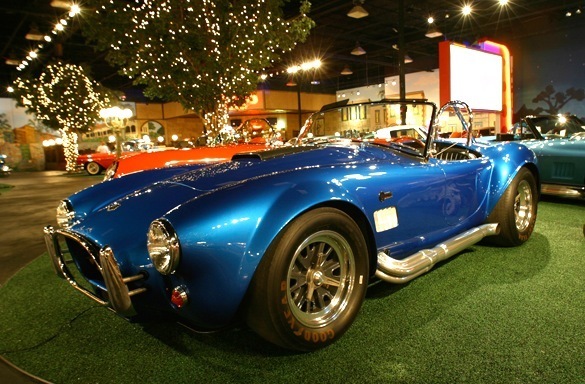 The AC Cobra was an Anglo-American sports car built in the 1960s. 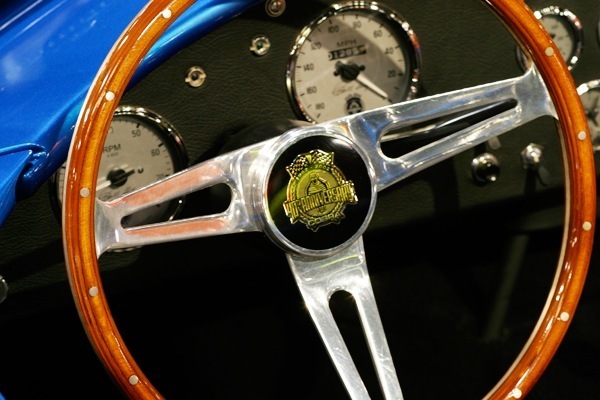 Like many British specialist manufacturers, AC Cars had been using the smooth, refined Bristol straight-6 engine in its small-volume production, including its AC Ace 2-seater roadster. The engine was a pre-World War II design of BMW which by the 60s the company knew was considered dated. Bristol decided in 1961 to cease production of its engine and instead to use Chrysler 313cid (5.1 L) V8 engines. 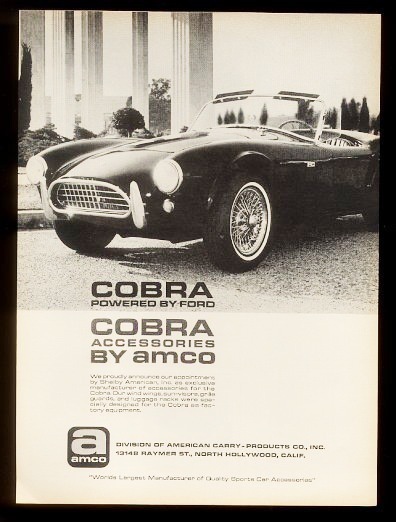 Although untrue, it is commonly believed that AC was left without a future source of power and that American ex-racing driver Carroll Shelby saved the company from bankruptcy. AC started using the 2.6 liter Ford Zephyr in all of its cars. 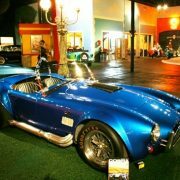 In September 1961, Shelby airmailed AC a letter asking them if they would build him a car modified to accept a V8 engine. 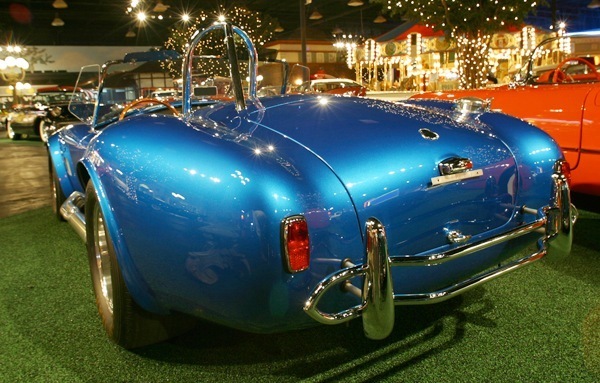 Shelby had previous experience with Anglo-American hybrids, having raced an Allard. He first went to Chevrolet to see if they would provide him with engines, but not wanting to add competition to the Corvette they said no. 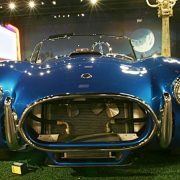 Ford however, wanted a car that could compete with the Corvette and they happened to have a brand new thin wall small block engine which could be used in this endeavor. AC agreed, provided a suitable engine could be found. It was, in the form of, Ford’s 260 cubic in HiPo (4.2 L) engine – a new lightweight, thin-wall cast small-block V8 tuned for high performance. In January 1962 mechanics at AC Cars in Thames Ditton, Surrey, England fitted the prototype chassis CSX2000 with a 221ci Ford V8. 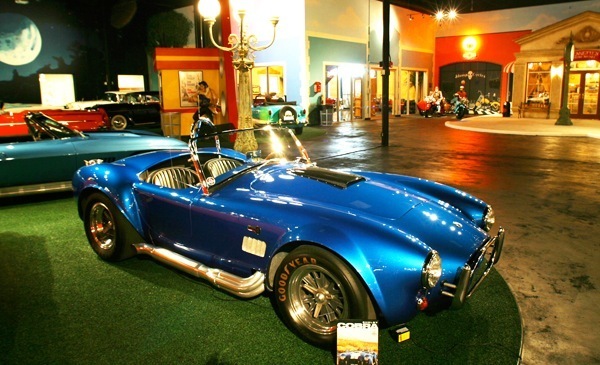 After testing and modification, the engine and transmission was taken out and the chassis was air freighted to Caroll Shelby in Los Angeles on February 2, 1962. Here it was fitted with an engine and transmission in less than eight hours and taken out on test. 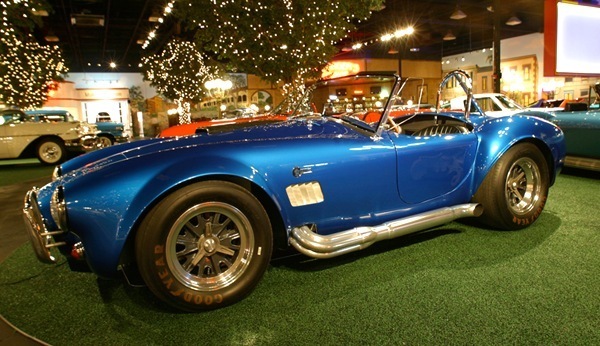 Carroll Shelby claims the name “Cobra” came to him in a dream. 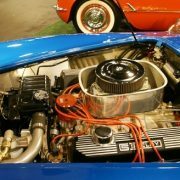 Production proved to be easy, since AC had already made most of the modifications needed for the small block V8 when they installed the 2.6 liter Ford Zephyr engine, including the extensive rework of the AC Ace’s front end. 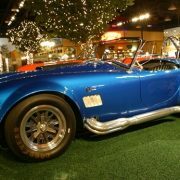 The most important modification was the fitting of a stronger rear differential to handle the power of the Ford V8. A Salisbury 4HU unit with in-board disk brakes to reduce unsprung weight was chosen instead of the old ENV unit. It was the same unit used on the Jaguar E-Type. On the production version, the inboard brakes were moved outboard to reduce cost. 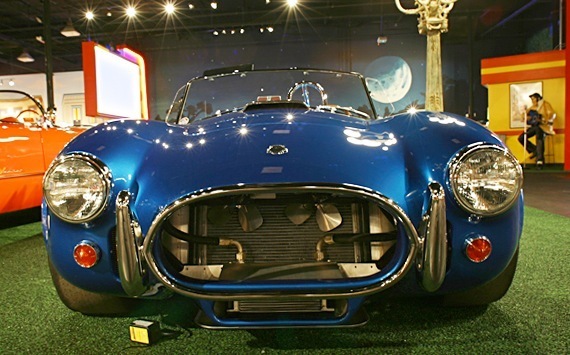 The only modification of the front end of the first Cobra from that of the AC Ace 2.6 was the mounting of the steering box, which had to be moved outwardly to clear the wider V8 motor. 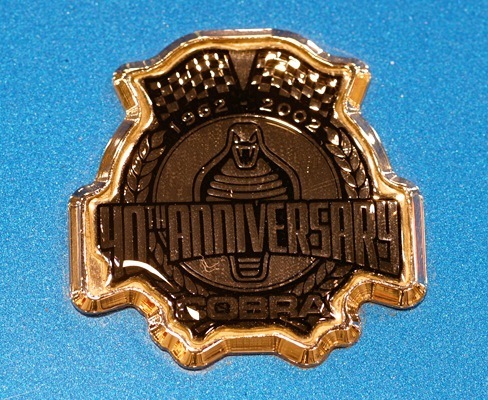 The first 75 Cobra Mark I (including the prototype) were fitted with the 260 engine (4.2 L). 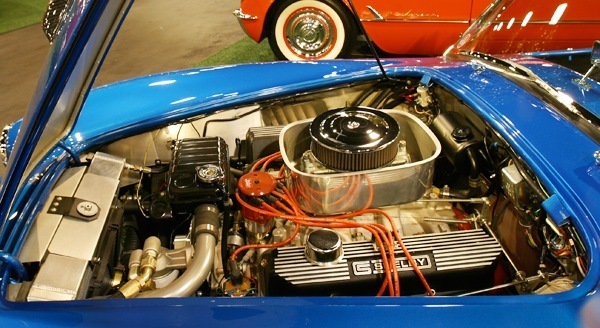 The remaining 51 Mark I model were fitted with a larger version of the Windsor Ford engine, the 289 cubic in(4.7 L) V8. 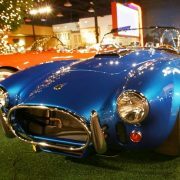 Toward the end of 1962, Alan Turner who was the chief engineer at AC completed a major design change of the car’s front end and was able to fit it with Rack and pinion steering while still using transverse leaf springs suspension. The new car went into production in early 1963 and it became known as the Mark II. 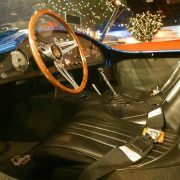 The steering rack was borrowed from the MGB while the new steering column came from the VW Beetle. 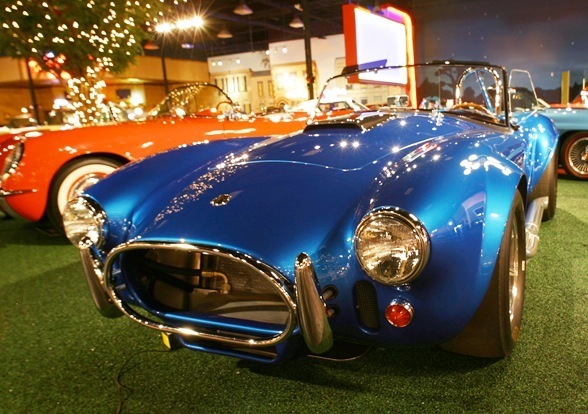 About 528 Mark II Cobras were produced to the summer of 1965 (the last US bound Mark II was produced in November of 1964). The new car was designed in cooperation with Ford in Detroit. 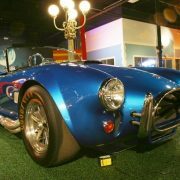 A whole new chassis was built which featured 4″ main chassis tubes (instead of 3″) and coil spring suspension all around. The new car also had wide fenders and a larger radiator opening. 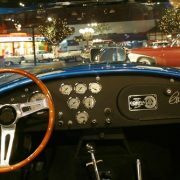 It was powered by the famed “side oiler” Ford 427 engine (7.0 L) developing 425 bhp (317 kW) and attaining a top speed of 163 mph (262 km/h) in the standard model and 485 bhp (362 kW) with a top speed of 180 mph (290 km/h) in the competition model. 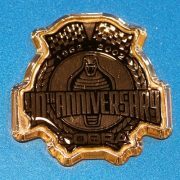 The production of the Cobra Mark III began on January 1st 1965, two prototypes had been sent to the United States in October of 1964. 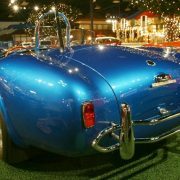 Cars were sent to the US as unpainted rolling chassis, and they would be finished in Shelby’s workshop. 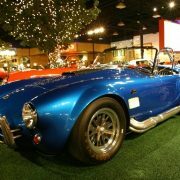 A total of 300 mark III cars were sent to Shelby in the USA during the years 1965 and 1966, including the competition version. 27 small block narrow fender version which were referred to as the AC 289 were sold in Europe. 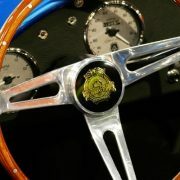 It was raced successfully by many privaters and went on to win races all the way into the 70’s. 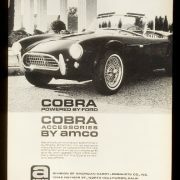 AC Cobras had an extensive racing career. 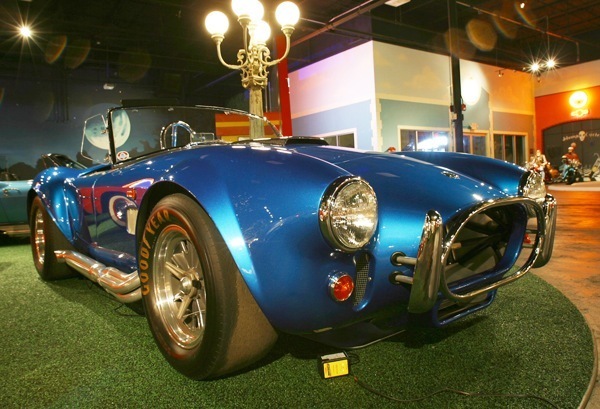 Shelby wanted it to be a “Corvette-Beater” and at nearly 500 lb (227 kg) less than the Chevrolet Corvette, the lightweight car did just that. 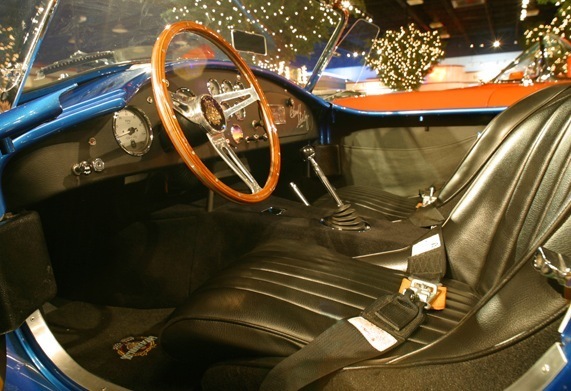 The Cobra was perhaps too successful as a performance car and reputedly contributed to the implementation of national speed limits in the United Kingdom. 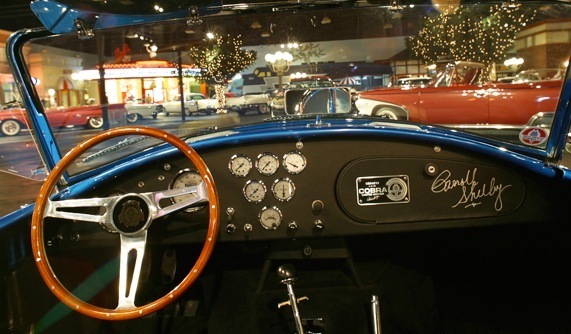 An AC Cobra Coupe was calculated to have done 185 mph (298 km/h) on the M1 motorway in 1964, driven by Jack Sears and Peter Bolton during shakedown tests prior to that year’s Le Mans 24h race.